A year ago this week, I decided to make a commitment to grow and enter the blogging UK blogging community as a lifestyle blogger. I had posted a few blog posts in Spring 2014 but did not consider myself a "blogger" until February 2015. I found myself reading more blogs and soon discovered blog hops or linkups with other bloggers. There was this large community of parent bloggers in the UK that I could learn from and instantly started making connections. I started joining in with weekly linkups and started to take more photos of my family. I am constantly learning new skills. There is a lot I wish I could have accomplished this last year but I am really grateful for the new opportunities that I experienced due to my blog. Photography - My love and skills of taking photos has developed throughout the year. My husband and I have captured moments almost daily. In result of joining in with the Me and Mine Photography Project, we now have many family photos that we cherish. Capturing Moments - My blog has allowed me to record and share my life in England with my family in USA. I think most of blog views have come from my Mother. Meeting New People - I am inspired and learn something new about life and blogging everyday from being part of the blogging community. I have not found my "tribe" but I met many new people in the last year. I hugged and had face-to-face conversation with several bloggers. It does feel strange at times that you know very personal details about an individual from reading their blog and you have never actually met them in person. I hope to create stronger bonds with other bloggers in the future. Sharing New Experiences with Family - I have been able to take my children to several exciting and fun family PR events. We enjoyed exploring the Museum of Childhood, London as a family. We attended exciting children parties at Liberty, London and Hamleys Toy Store, London. We have been given press tickets to Mister Maker Live and The Gruffalo Live. I also had an opportunity to take Little Ladybug to see Peppa Pig Live. Career Opportunities - My experience blogging and managing social media for my blog provided me with the qualifications to be hired as a Local Area Manager for Mums in the Know. I loved running the local MITK website but due to time constraints was unable to continue this position. I look forward to new opportunities in the future for social media management and brand collaborations. Product Reviews - Our first official review was for a children's YouTube channel but since then we been selected as Parragon Book Buddies and as Bigjiggs Play Patrol (Vlogger). I had the amazing opportunity to meet Kate Smith of The Makery and work with Magnificent Stanley. Blogging Conferences - I had the opportunity to attend Blogtacular and BritMums Live this past year. I was very inspired by the speakers at Blogtacular but the best part was meeting other bloggers. I got the opportunity to speak with some of my favourite bloggers. Vlogging - I am enjoying learning more about vlogging and video editing. At times it can be a little stressful but we loved sharing our daily Christmas adventures for Vlogmas 2015. I recently joined the Channel Mum Community. Those are just some of the highlights of the past year. My biggest challenge has been TIME. I hope that I will start to be financially rewarded for my blogging starting this year. 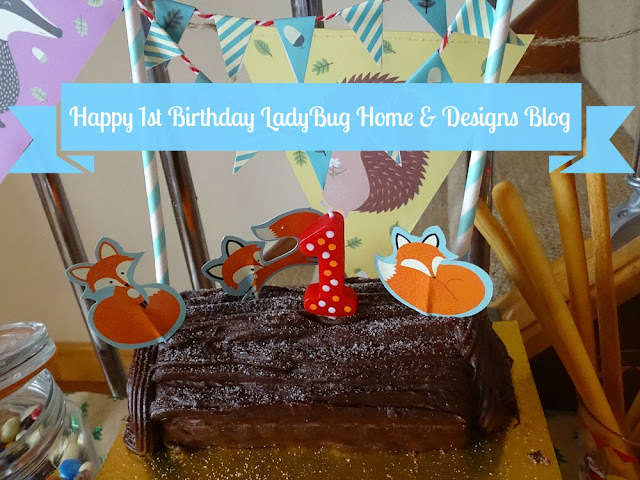 I truly enjoy blogging but due my most important role as a Mother it can be difficult to devote as much time as I would like to my blog. I have a long list of blog posts that I would love to publish in the next couple months. New Content - I am hoping to explore new topics in home decorating, traveling, food, supporting small businesses, and other lifestyle topics. Updated Blog Design - I would like to update the website design to reflect visually the vision I have for my blog. Developing 2nd Blog - I am working on creating a new blog that is focus on preparing for and celebrating the Christmas Festive Season. It is very early days. New Brand and Blogger Collaborations - I would love to work with some new lifestyle brands. My children are still interested in reviewing children products but I would like to establish some new brand relationships. I would also like to work with some other bloggers to help promote and encourage each other. Thank you for reading my blog this last year. A huge 'Thank You" to my fellow bloggers that I learned so much from and are always there to support my efforts. What is your favourite part of blogging? Why do you enjoy reading blogs? Gosh that is so funny that our blogiversaries are so close in timing! I agree with you about the struggles with time, but I'm at my most happy when I never get to the end of the blog post list or the end of any project list. Every six months or so I have a day where I've cleared the list and I actually feel a bit lost! Well done and happy belated blogiversary!